Ric Reid and Nicola Lipman star in the Arts Club Theatre Company production of The Matchmaker. Photo by David Cooper. With the recent death of Carol Channing, it seems somehow fitting that Thornton Wilder’s play The Matchmaker kicks off the new year for the Arts Club Theatre Company, in a sort of unplanned tribute. For it is Wilder’s straight comedy on which the musical Hello, Dolly! is based, a show for which Channing will be most remembered. Like its musical counterpart, The Matchmaker is the story of wealthy store owner Horace Vandergelder, who employs Dolly Gallagher Levi to help him find a wife. Turns out though, in this classic farce filled with forbidden young love and mistaken identities, Dolly doesn’t have to look very far to find his match. 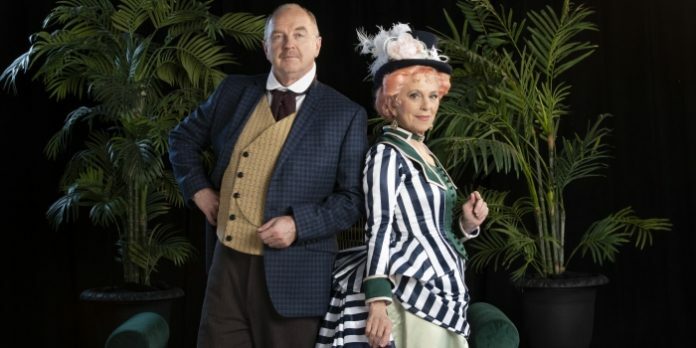 Starring Nicola Lipman as Dolly and Ric Reed as Horace, the upcoming Arts Club production reads like a who’s who of the Canadian stage. Look beyond the names of the cast and crew in the show’s programme though, and the enigmatic role of dramaturg may stand out. Just what does a dramaturg do, and what difference does the role make to a production? 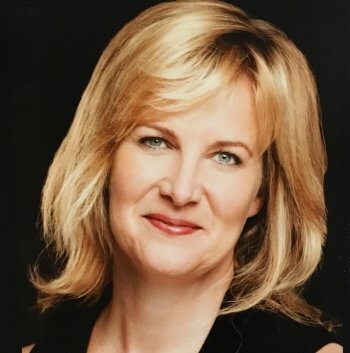 We find out in this Q&A with The Matchmakers’ production dramaturg, Karen Ydenberg. We often see the word dramaturg/dramaturge listed in a show programme, what does the job typically entail? There are many potential tasks, but the two main areas of responsibility for a dramaturg are new play development, and production dramaturgy. In new play development, you work together with the playwright as they write and develop their play. You listen and read with genuine curiosity, and then reflect back open questions regarding structure, plot, character, etc., as well as facilitate any readings or workshops along the way. In production dramaturgy, you research the various aspects of a play that is being produced, in order to support the creative team and the company. What other projects have you dramaturged? This is my first production as a dramaturg. Last year I took the Arts Club’s dramaturgy course with Rachel Ditor and then was hired as the Arts Club’s dramaturgy intern for the summer, which is when I did most of the research for Thornton Wilder’s farce The Matchmaker. In The Matchmaker you are listed as production dramaturg. What does that mean? I’m responsible for researching the world of the play and then curating that information into a document to present to the creative team and company to inform them and inspire them. I had such fun researching everything from Thornton Wilder to the history of matchmaking, to the 1880s Gilded Age in New York. I also sit in on rehearsals as a kind of in-house audience member, making sure we experience everything the playwright and director intend us to. What has been an exciting bit of research you have shared with the cast or director on this production? I discovered an essay that Wilder wrote about the nature of farce in which he wrote that farce is based on logic and objectivity. He said that rather than being intended for “childlike minds”, the pleasures of farce, “like those of the detective story, are those of development, pattern, and logic”. Our director Ashlie Corcoran stays true to Wilder’s thoughts here; she unpacks the story very methodically, and with great hilarity, and heart, along the way. What should audiences keep an eye out for when watching this production? Thornton Wilder uses an interesting device in The Matchmaker; his characters address the audience directly at different times throughout the play. In doing so they invite us, the audience, to collaborate with them in the theatrical experience. Wilder beckons us to become participants rather than spectators. Be ready to say “yes” and join us in the adventure. The Matchmaker plays the Stanley Industrial Alliance Stage (2750 Granville St, Vancouver) January 24 – February 24. Visit artsclub.com for tickets and information.